A dynamic professional with a keen insight into the shifting regional hospitality marketplace, Rami has over 15 years of experience leading all aspects of hotel development and operations. He is responsible for overseeing business development and bringing people and resources together to support Louvre Hotels Group’s growth strategies in the region, in addition to directing the new modern branding initiatives the group aggressively takes on. Rami began his career in 2002 and held several pre-opening, operational and F&B positions with leading hotel chains such as Hyatt, Jumeirah, Kempinski and Mövenpick. In 2008, Rami joined FRHI Hotels & Resorts as Manager - Development, Europe, Middle East & Africa, and progressed over the next 7 years to successive promotions to head up development and growth strategy of the group in the Middle East and Africa, holding the title of Vice President - Development. The passionate hotelier joined Louvre Hotels Group in mid-2015 with the mandate to grow the group’s presence in the Middle East and North Africa and establish it as the leading mid and upscale hotel operator in the region for years to come. 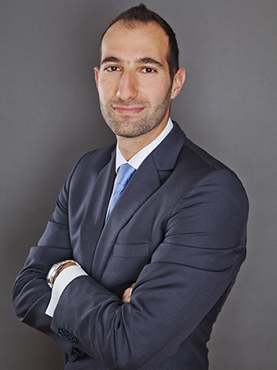 Rami holds a Master of Science in Management from the UK and a Bachelor of Science degree in Hospitality Management from the Emirates Academy in Dubai and École hôtelière de Lausanne.